Home » Internet Information » News » solar man of India - Kunwer Sachdev - एक सफल उद्योगपति की कहानी | Success Businessman Story In Hindi. Friends, before you wrote a Success Businessman Story in Hindi, which was very good to everyone, whose name was "From the floor to the sunshine" today and the Story of a Successful Indian Entrepreneurs is publishing for you today. Kunwer Sachdeva is the founding and MD of India's Leading Power Solution Company Su-Kam Sukam solar inverter and is also a great explorer, marketer, inspirational speaker, and entrepreneur. Sachdev's good work success story is the best and most prominent example of "Make in India." Sachdev was born in a middle-class family, but Sachdev never let his economic circumstances go in the middle of his success. And at the age of just 15, he became a great successful entrepreneur. As an explorer, he soon embarked on the development and needs of India's power backup industry, and in 1998, he decided to close the cable TV business to establish a good-work power system. In a few years of hard work and hard work, he today made a good job one of the leading companies of India. Today, the excellent work is Indian Multinational Corporation, and it is considered one of India's most developed and fast-growing industries. This company is also included in the list of top 500 companies that develop quickly. Sachdev has also reached his company for nearly 90 countries, and its goal is to cover most parts of Africa and Asia. Sachdev was the first Indian industrialist to file a patent for technology and design in the Indian Power Backup Industry He is also credited with inventing the world's first plastic body inverter, and his invention has been named by INDIA TODAY as "Innovation of the Decade." Kunwar had revolutionized the power backup industry by inventing the World Class Technologies like MOSFET, Micro Controller Based and DSP Sign Wave. He also gave India "Home UPS" which had the qualities of both the UPS and the inverter. 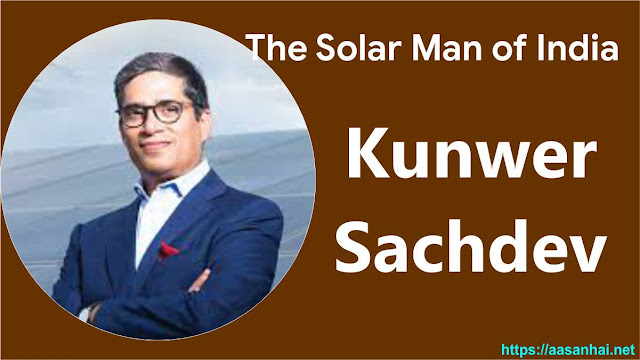 Before the arrival of Su-Kam, over 100 people were governing the inverter industry which was selling inferior goods - but Kunwar had challenged the entire inverter industry with its invention. Kunwar was never satisfied with his accomplishments, and he was always hungry to invent some new technology. "If there is currently all electronic touch screen and Wi-Fi connection then do not have Home UPS Q?" Keeping this in mind, he made changes in UPS technology. And today, Kunwar is ready to launch its first touch screen UPS, which also offers Wi-Fi access. One day it will happen, hardly anyone would have thought. Given their many significant contributions in the development of the power backup industry, they are also known as "Inverter Man of India." Kunwar's love for technology was always growing. He was very much interested in building Green Energy that he wanted to have green energy everywhere in India. A decade ago, solar energy equipment will bring revolution in the coming decades. Solar devices related to their home include SolarCon (turns exping inverter into solar inverter) and Brainy (First Hybrid Solar Home UPS) of the world. He has also searched solar gadgets from many small house remotes to large industries. He has also been a significant contributor to the formation of Unique Solar DC System. Su-Kam succeeds in getting the highest market share after the hard work of Kunwar. Right now, the goal of a good job is to connect every single home in India with solar energy. In the first years of the establishment of good work, Kunwar had learned the importance of marketing and advertising, and for this reason, Su-work became the first inverter company to advertise in the newspaper. No company had specific product manual or catalogs before Kunwar got into the power solution sector, but Kunwar changed it and made a best and attractive manual product of all the outcome of such work. Kunwar had developed a good marketing strategy for the excellent work of Apmi Company, and before that, no company had created a marketing strategy, but after this, in the '90s, everyone started making marketing strategies while moving on their paths. Subsequently, the well-known work of the great Dhobob board itself was gifted to them and also advertised their equipment. There is a story behind this, according to which once Kunwar had gone to see the lava in Kashmir and there he also saw a lovely "Sikar boat" and all the boat turned into good work the next day. 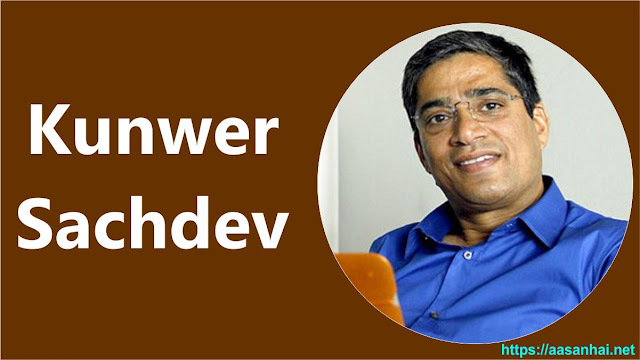 Kunwar is one of the great entrepreneurs who understood the importance of internal branding. Kunwar had decorated Su-work culture in such a way that his entire staff used to celebrate all the festivals (including the Su-work's sports week) gladly, his team was not less than a large family. Together with actor and actor Ravi Kishan, Kunwar also launched his first reality TV show, India's Greatest Salesmen - Baazigar of Sale. Earlier, no one had seen such shows to inspire the seller logo. , and thousands and millions of people took part in it. And its winners today work in good work. It was always believed by Kunwar Sachdev that if you can dream you can fulfill him. And this is what made them think that such is India's biggest power backup solution company. He wanted to make his Indian brand popular on the global level, and he succeeded in doing so. Under the guidance of Kunwar, excellent work could be established in about 90 countries. The superb job has now become the international brand, and at the same time, there are many awards for good practice in countries such as Africa and Nepal. People in Africa rely more heavily on this "Made In India" brand than Chinese and American companies. Because of an industrialist, technology, and innovation, he has received many awards, which includes mainly the "Bharat Shiromani" given by the Government of India and Ernst & Young's "Best Industrialist of the Year" award. Whether luck is changed or not it is broken. But time changes forever. "